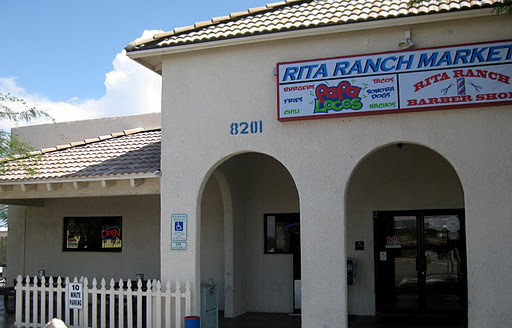 If you need a quick bite to to eat in Tucson, a Sonoran hot dog is a pretty good way to go. Coming west into south Tucson on I10, we took a quick detour north to check out Papa Locos. Papa Locos lives in a little side addition next to a Valero gas station's convenience store. 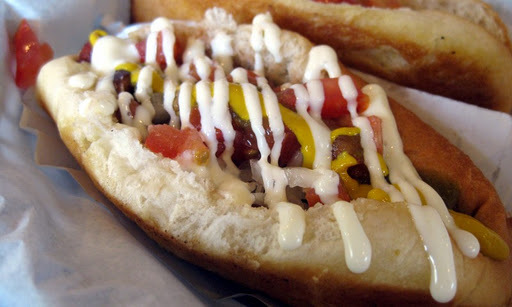 There are a variety of items on their menu, but the Sonoran hot dog was our focus. Sonoran hot dogs (named after the Mexican State where they originated) are Tucson's version of the bacon-wrapped hot dog. 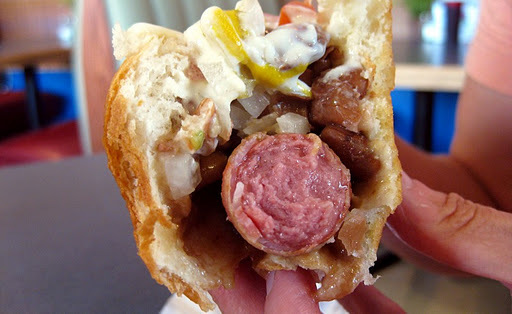 To me, the primary factors that differentiate the Sonoran dog from its cousins are the addition of pinto beans and jalapeño sauce and the distinctive bun (which has the texture of a standard hot dog bun, but is shaped more like a bolillo). Probably the most well-known place for Sonoran dogs in Tucson is El Guero Canelo, but I found Papa Locos' version to be superior in pretty much every way. The meat, beans and chile sauce each have their own intense flavor, and the combination is fantastic. Papa Locos' Sonoran dogs go for $2.99 a pop. One each wasn't quite enough for lunch, so Sherry and I split a caramelo (a kind of mini-quesadilla) to pad out the meal. 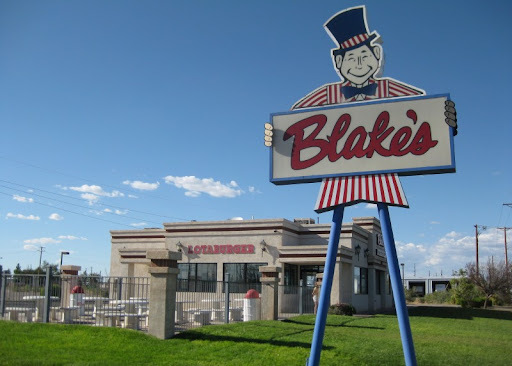 Road tripping through New Mexico means that Green Chile Cheeseburgers are very much on the agenda. This trip, we had two. 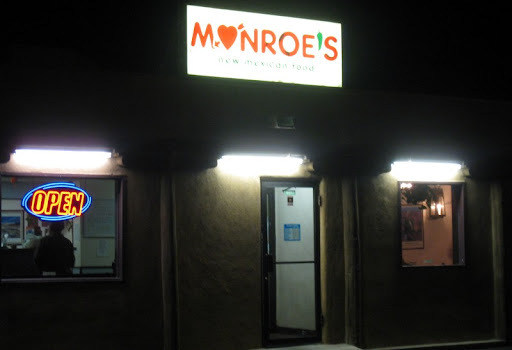 First up was Monroe's, in Albuquerque. 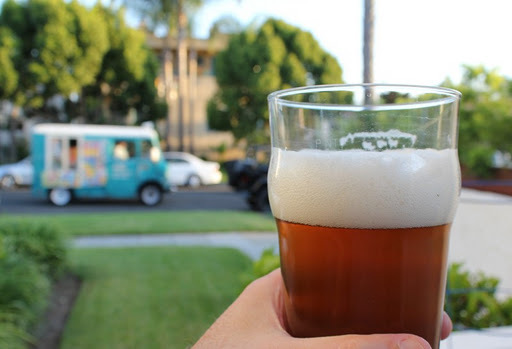 I chose Monroe's because it was well-reviewed and within walking distance of our hotel (Casa de Suenos, which I highly recommend). When we arrived, the place was pretty dead. Undeterred, we entered into the harsh, florescently-lit room and sat down. 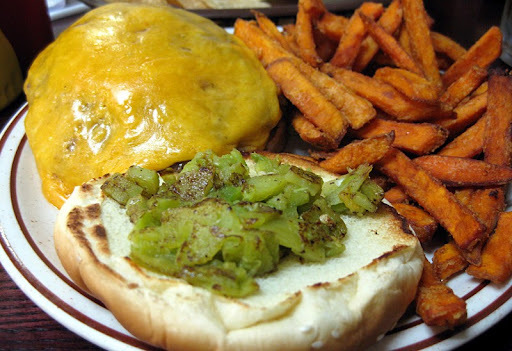 You can see the green chile cheeseburger above, served with sweet potato fries (I ordered regular fries). Overall, it disappointed. 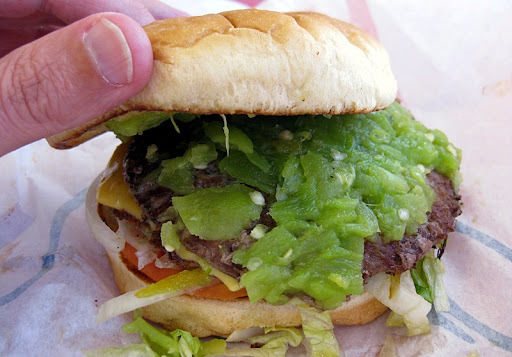 Not enough green chile for the flavor to really come through, and the burger itself was the thin, frozen puck style you would buy at Costco. It was decently prepared, though, and I had no trouble eating it. Unfortunately, the same couldn't be said about their carne adovada, which we also tried - way too salty, and lacking in flavor. Overall, it was a pretty bad dining experience. Monroe's seems like a place that has seen better days, and it would be hard to recommend based on our visit. The amount of green chile was perfect, with tons of chile flavor and a good amount of heat. 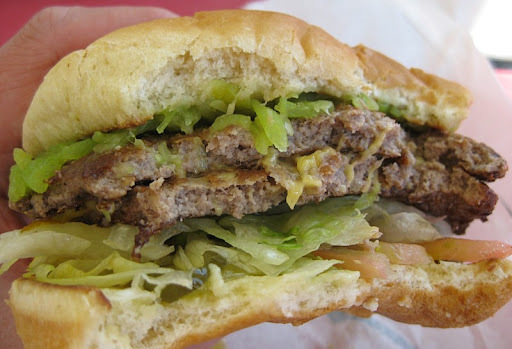 There is nothing complicated about this burger - just a better-than-average fast food burger, well prepared, and with the key addition of chopped up Hatch green chile. If someplace in San Diego puts a burger like this on their menu, I will happily give them my money on a regular basis.